What is unique about this Yeshiva? Our motto is the Rebbe’s oft repeated statement, that the Yeshiva & its Hanholo are there for the Bochurim, not vice versa. Hence, we make it a point to see each Bochur for who he is, rather than expecting him to fit into a general and predetermined mold. Every member of Hanholo does his part to guide the Bochur according to his individual כחות & needs. The Yeshiva Hanholo frequently discuss each Bochur’s progress, ensuring that he is developing happily, and all of his material & spiritual needs are being seen to. Sounds too good to be true – how do you achieve this? Emphasis is placed on the fact that each member of Hanhala is fully dedicated to their specific area of expertise, in a way that for him the Yeshiva & the Bochurim are כל מעיני בך. The Rosh Yeshiva & the Menahel meet regularly with each Hanholo member to insure that every Bochur is receiving the full capacity of guidance & help. Although the learning schedule is set more or less the same as all other mainstream Chabad Yeshivos, we take great care to insure that every Bochur feels that his specific needs are met, and at the same time help the Bochur grow in his abilities. The exact S’dorim may vary slightly from year to year in accordance with the strengths & abilities of the students. However, the general idea remains the same as described on this page. The Bochurim are encouraged to use some of their spare time to jump in the swimming pool or other recreational activities, so that they are healthy and their minds are clear to spend the long hours of learning productively. Also, from time to time the Bochurim are taken out into nature, in order to further invigorate them in their learning & Avodas Hashem. Yir’as Shomayim & Chassidishkeit are not left as a given. The Mashpi’im are very in touch with where each Bochur is holding, and guide him in the proper manner, through general Farbrengens as well as private talks, in the tradition of Mashpi’im of generations of Tomchei T’mimim. The Mashpi’im guide & direct each Bochur in Davening properly, and also Hadrocho in Chassidishkeit in a Pnimiyusdike way, so that he avoids false directions. The Hadrocho is especially permeated with the awareness of the only Shlichus of our generation: preparing ourselves & the world to greet Moshiach. The atmosphere in Yeshiva is always a positive one filled with Simcha, where a Bochur doesn’t feel forced, rather that he & the Hanholo are working together for the same goal. Bochurim are encouraged to enjoy learning & Davening, and to want to grow. We try to cultivate a Geula atmosphere, rather than a Golus one. We strive to be in constant communication with parents, regarding their son’s progress. The Menahel sends out a bi-weekly report to the parents, that includes test marks, Shmiras Hasdorim, and general Hanhogo. The Yeshiva in SA was founded by the Rebbe, and he continually bestows upon it his ברכות, that give the Yeshiva & its students the necessary כחות for success. Being far away from all the tumult of the “big cities” regarding which Chazal tell us ישיבת כרכים קשה, and with large spacious grounds & swimming pool as well as top quality level Gashmiyus, a Bochur has the מנוחת הנפש to concentrate on nothing else other than Torah & עבודת ה’. BH, the Yeshiva is in an extremely safe & very Jewish neighborhood. The entire area & especially the immediate vicinity of Yeshiva are fully protected & secure. The Hanholo takes every precaution that also when the Bochurim go out, they are safe & secure at all times. Are there Kosher stores near Yeshiva? Yeshiva is in a very Jewish area. A short few blocks away from Yeshiva, there are Kosher stores, as well as a large well stocked Kosher supermarket that is open from early until late, 6 days a week. You can pretty much buy anything you would like (for a lot cheaper). 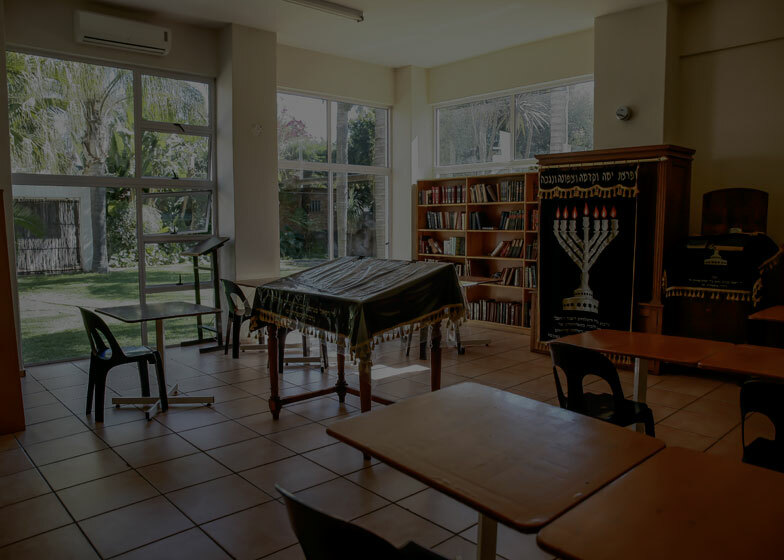 In addition to South Africa having top class medical care, BH we have excellent Jewish doctors in the community who take special interest in caring for the Yeshiva Bochurim. It is important, however, to be covered by insurance. This should not be an issue, as many insurance plans cover their clients overseas. An alternative option is to get travel insurance from a travel agent. There is a scholarship fund based on various factors that determine eligibility. If your son fits the criteria, and is right for the Yeshiva, we are certain that together we’ll come up with a plan that will make it work. The Yeshiva offers classes for students on varying levels of knowledge. Our hand-picked Hanholo members & Shluchim (at a very large ratio per Bochur), are fully and solely dedicated to helping each student grow in learning and Chassidishkeit. 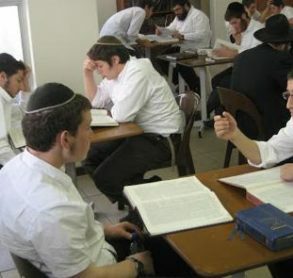 The classes are small enough so that every Bochur can get the personal attention of the Magid Shiur, and each Bochur is put in the class that is most suited to his own level. Girsa is learned B’Chavrusa under supervision of Hanhala members and with their assistance. Daily and weekly quotas are set up, and every Bochur is encouraged along the path of learning the most he can according to his capabilities. In morning Seder – Chassidus is studies B’Chavrusa. We learn Avodadike Ma’amorim, emphasizing mainly on Ma’amorim of the Rebbe. There are set Ma’amorim with a daily & weekly quota, and Hanhala members to supervise and assist in proper learning. At night, in addition to Chavrusa learning – there are daily Shiurim that are split up according to level. There is a special Halacha department, in which a knowledgeable Rabbi was hired specifically to set up a Halacha curriculum according to the varying levels. Based on the Rebbe’s directive, a strong emphasis is places on the proper learning of Halacha, allotting to it the proper time & effort. In addition, there are special Shiurim from time to time in practical Halacha. According to the directives of the Rebei’im, we have set S’dorim for Nach. There is also a regular Shiur in Jewish history, with a special emphasis on the order of transmission of the Torah Sheb’al Peh, and getting to know the background of the Tano’im, Amora’im, Rishonim & Acharonim. In accordance with the Rebbe’s teachings & directives, a strong emphasis is placed on the only Shlichus of our generation. Aside from Geula and Moshiach being emphasized in every topic that is studied, there are special Shiurim specifically on topics pertaining to Geula and Moshiach with the intention of bringing warmth and Chayus in the anticipation of the Geula & the preparation to greet Moshiach speedily.